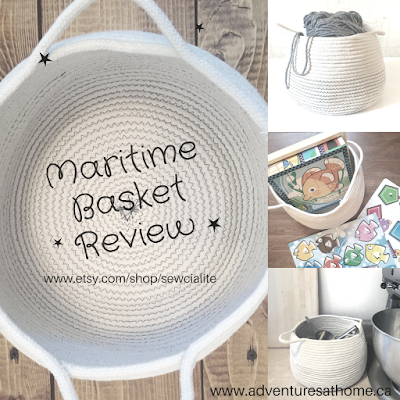 My Review of The Maritime Basket! I'm really excited today to be sharing my review of the beautiful Maritime Basket by Sewcialite on Etsy. Let me start off by saying that the owner of this shop is an absolute dream to work with. She's a hard working mama of 2, and you can read a little bit more about her life on her blog here: www.sewcialiteblog.wordpress.com. 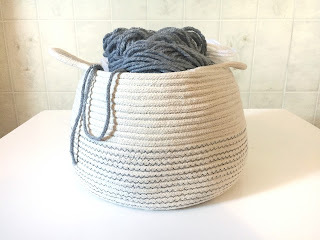 I was really impressed by the fact that she hand makes all of these baskets, bowls, and other rope products at home- and they're really great quality. 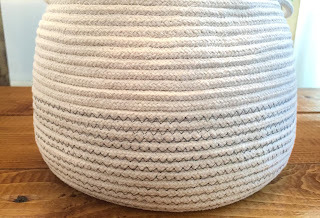 The stitching is beautiful, and this basket would look great in any home since it goes so well with any decor. 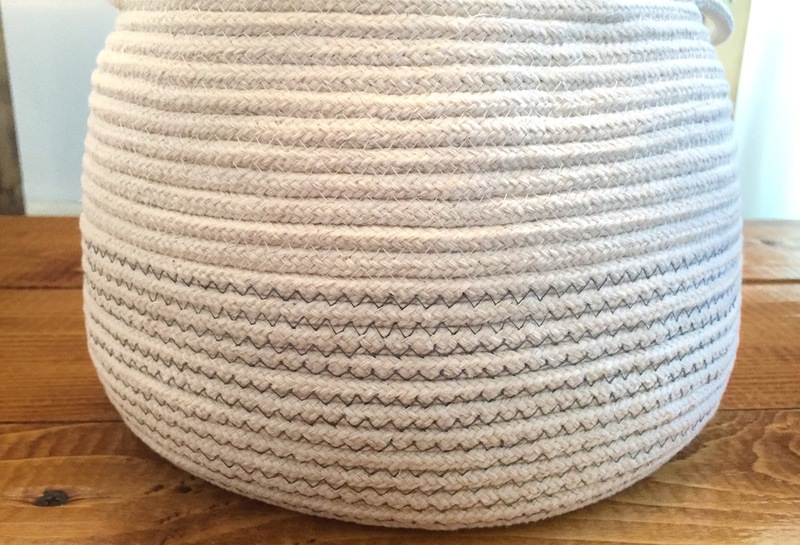 Since the basket goes so well in any room, I was having a hard time deciding where I wanted to use it. I decided to try it out in a few different rooms to see where it goes best. If you have kids, this basket would work really well to hold small toys and puzzles. I can picture it sitting on a bookshelf, filled with wooden blocks or puzzle pieces. I've recently been doing a lot of DIYs and had this yarn sitting around. How cute does it look in this basket? It would also be great for holding sewing supplies and other crafting products. The last spot I used the basket may be my favorite. It looks so beautiful sitting on my kitchen counter. 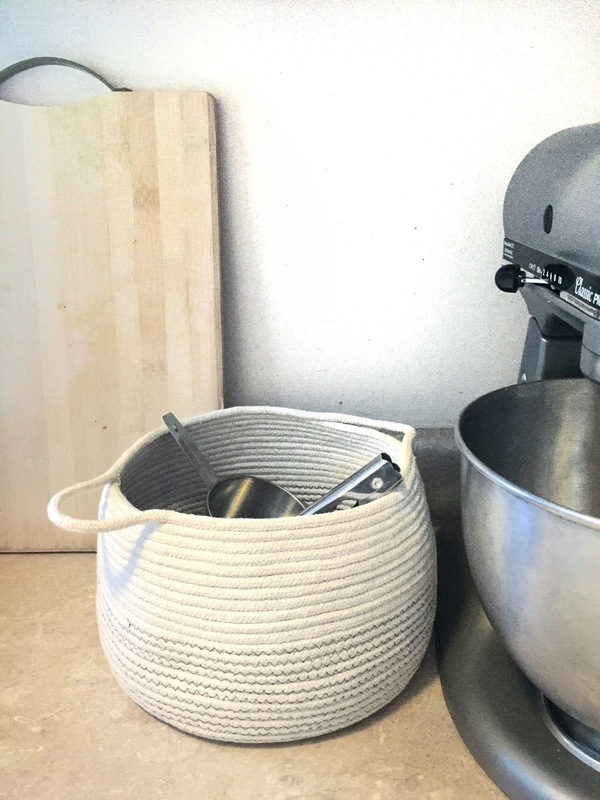 I used it to hold measuring cups, but it would also be great to hold utensils or anything else you want to keep on your counter. You really don't even NEED to put anything in the basket though- it would also look beautiful just sitting on my kitchen table or nightstand as decor. 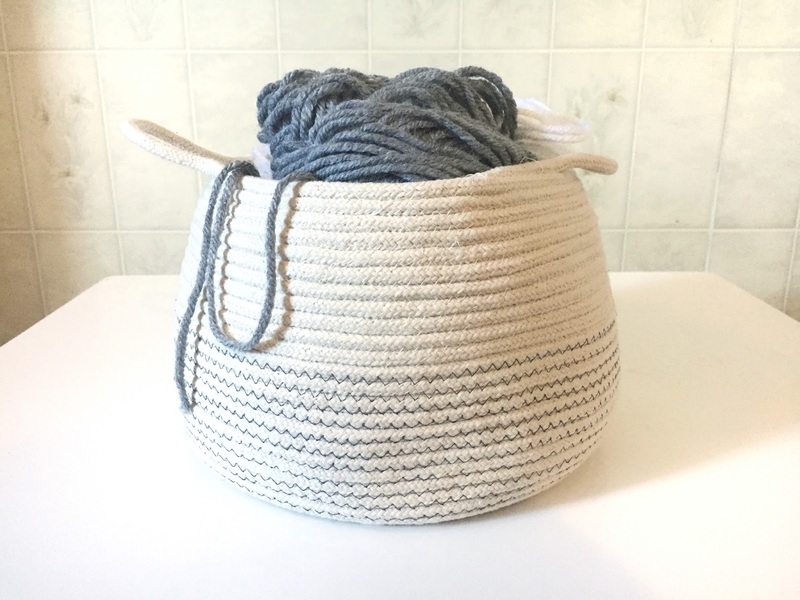 How would you use the Maritime Basket? If you're interested in purchasing any of her products, you can find them here www.etsy.com/shop/sewcialite. 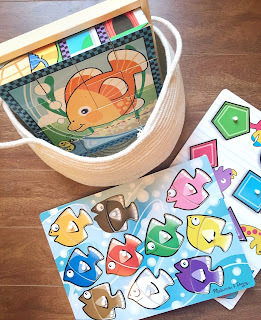 Disclaimer: This product was sent to me for review, however ALL opinions and photos are my own. Ca-Pier Young Skin Care Review!